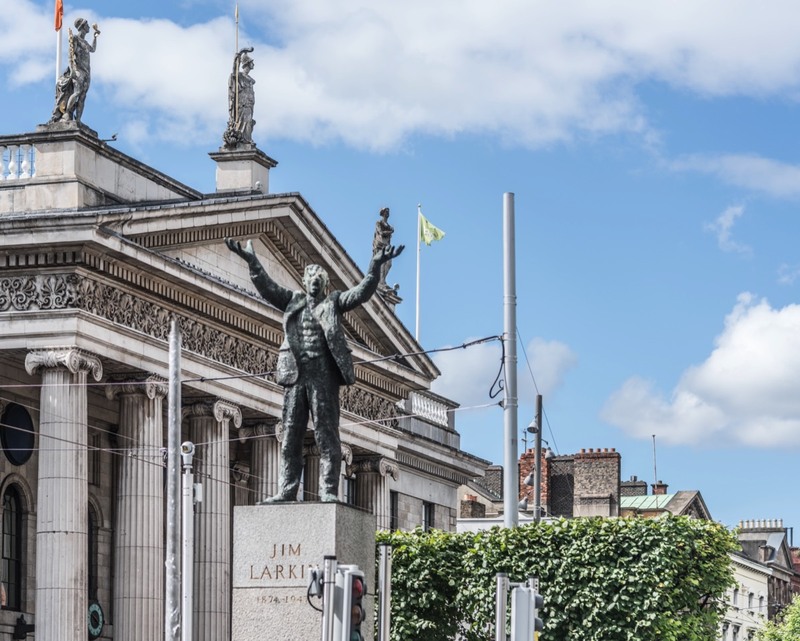 Oisín Kelly completed his statue of the union leader James Larkin in 1978 and it was criticised at the time of its erection for the outsized hands encouraging the workers to rise up. 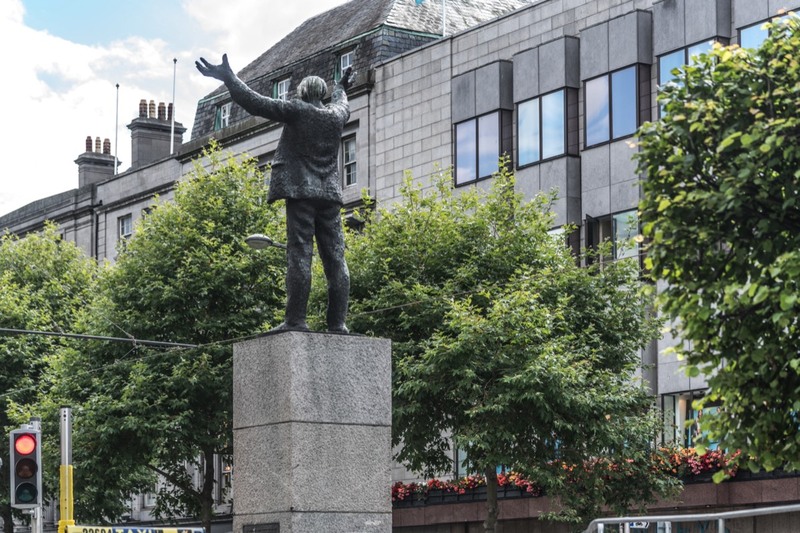 I have noticed that the statue is described by some as facing Clerys Department Store which is not exactly true [unless it has been rotated by 90 degrees]. In 1909 Jim Larkin founded the Irish Transport & General Worker’s Union catering for unskilled workers such as carters, dockers, labourers, and factory hands, who lived in conditions of great misery in the slums of Dublin, then probably among the worst in Europe. By 1913 his union had over 10,000 members and had its headquarters in Liberty Hall. 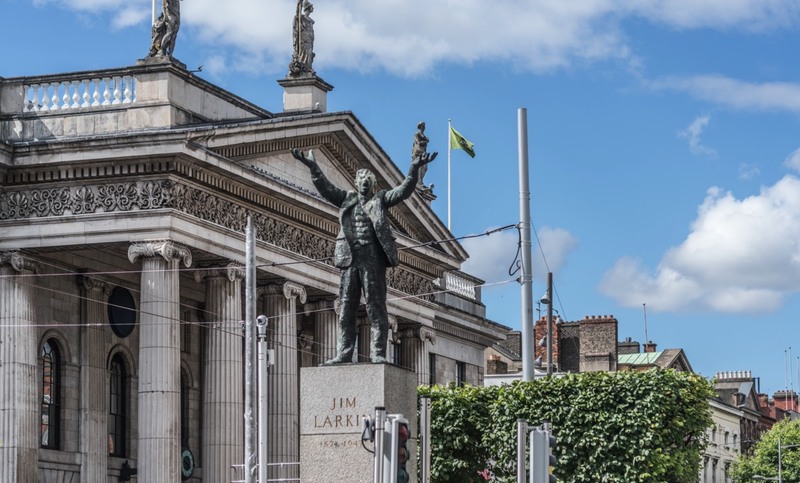 …He talked to the workers, spoke as only Jim Larkin could speak, not for an assignation with peace, dark obedience, or placid resignation, but trumpet-tongued of resistance to wrong, discontent with leering poverty, and defiance of any power strutting out to stand in the way of their march onward.